I am quite possibly the most unorganised blogger ever, which reflected on me badly the other night when I lost all my photos for the upcoming month due to my memory card corrupting. Luckily my dad managed to recover the images for me, but it would never have happened if I had been less lazy and saved my photos properly. 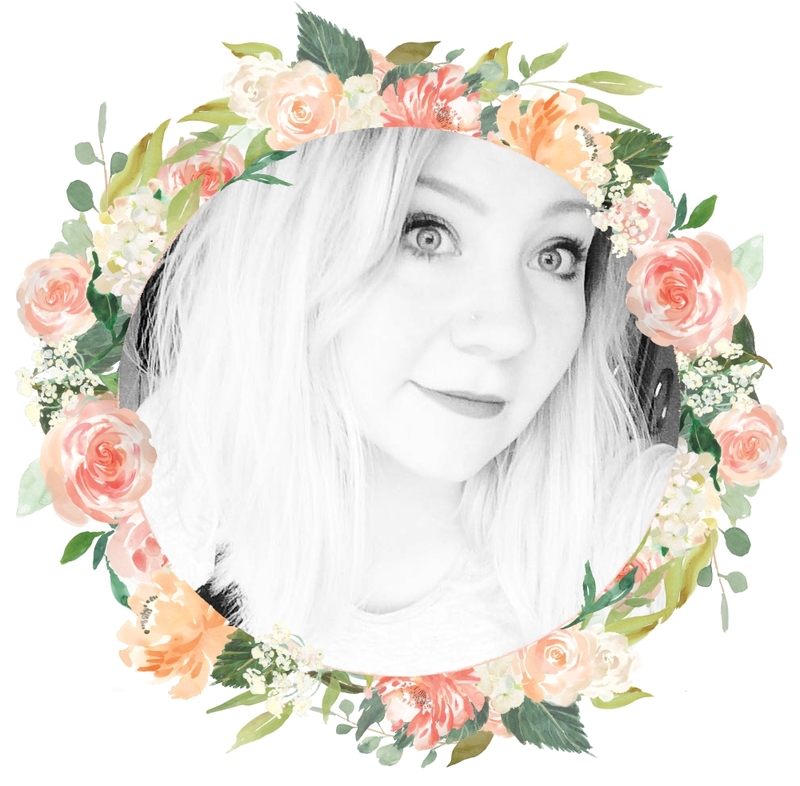 Therefore, I am vowing to become more organised, and the lovely lot over at Rooi sent me loads of fabulous Ban.do goodies to help me do just that. I have been drooling over Ban.do planners for at least a year now, since I first saw Mandy's post on her agenda wayyyy back in July last year I was determined to get my hands on one. There was a little problem though - Ban.do charge a rate of over £30 for shipping to the UK. No thanks pal. Instead I kept searching the web for a UK distributor and ended up coming across Rooi, a company I had actually heard of before via Erin's post on her Kate Spade ice bucket. I ordered the Rose Parade 17 month agenda so freaking fast as they only had one left in stock, and by the time I got home from my holiday it was patiently waiting for me. I was just so impressed with the speedy delivery and safe packaging of my planner that I immediately fired an email off to Rooi, thanking them for their services and asking if they'd like to work on a planner review post with me (look out for my post on contacting brands coming soon!) To my absolute surprise and joy a little parcel arrived at my door only a few days later, containing a Ban.do set of pens, three rolls of paper tape, jumbo sticky notes and a book of STICKERS!!! The stickers were the Ban.do Luxury Sticker book* and they are amazing. 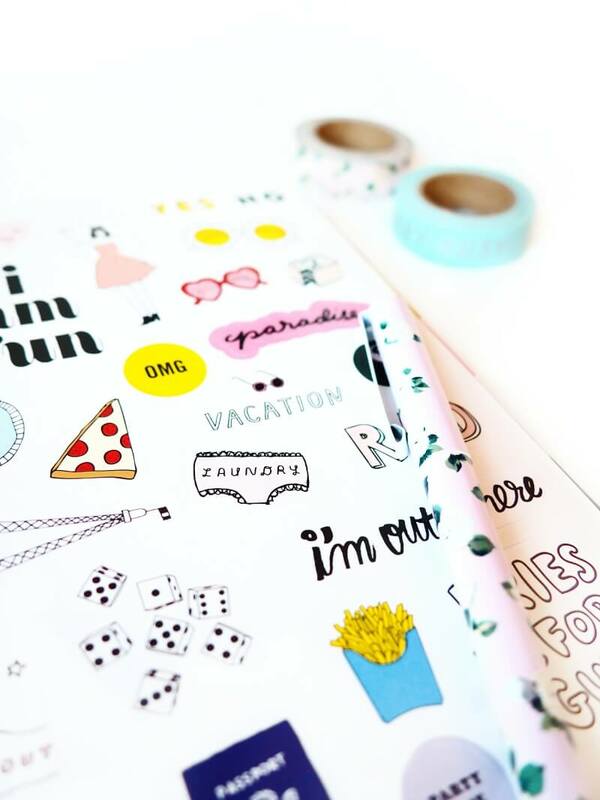 There's a fabulous variety of stickers including letters, emojis, speech bubbles and the cutest illustrations. I'm currently torn between wanting to stick them everywhere, but also wanting to hoard them forever #FirstWorldProblems. I may have to buy more stickers to counteract this, so I've been eyeing up the other Ban.do sticker sets, however they are currently out of stock *cry*. I've not actually pictured the lovely Caroline Gardner Jumbo Sticky Notes* as I immediately took them to work with me to store on my desk and use throughout my day. Daftly, I forgot to bring them home, but believe me when I say they are adorably spotty and colourful. I have been absolutely loving using the Ban.do Write On pen set* and Stick With It paper tape set* to plan my blog posts and decorate my new agenda. I've never ever bothered planning posts before, usually throwing them together in a panic or on a lazy Sunday morning when I had nothing better to do, but using the Rose Parade agenda has made blogging so stress-free and I'm truly enjoying have my posts written and scheduled sometimes weeks in advance. I've also used my agenda to make a note of Twitter chats that I promote my posts through, meaning I've been able to optimise my posting schedule around these days. It's not been entirely without disaster. As I mentioned at the start of the post, I temporarily lost all my photos and had to bring the publishing of some posts forward, which killed a part of me inside as it meant the publishing schedule in my agenda had been thrown out of sync. My plan for now on is to write my publishing dates on stickers that I can easily peel off and change if need be, but hopefully I won't have another similar disaster! If you love the products used in this post, get yourself onto Rooi.com asap. They are currently having a sale of 25% off everything, but be fast as things are going out of stock very quickly! How do you plan your blog posts? Products marked with an asterisk (*) were gifted to me by the lovely Kayleigh at Rooi. This does not affect my opinion on the products and all views are strictly my own. The Rose Parade 17 Month Agenda was bought by myself. 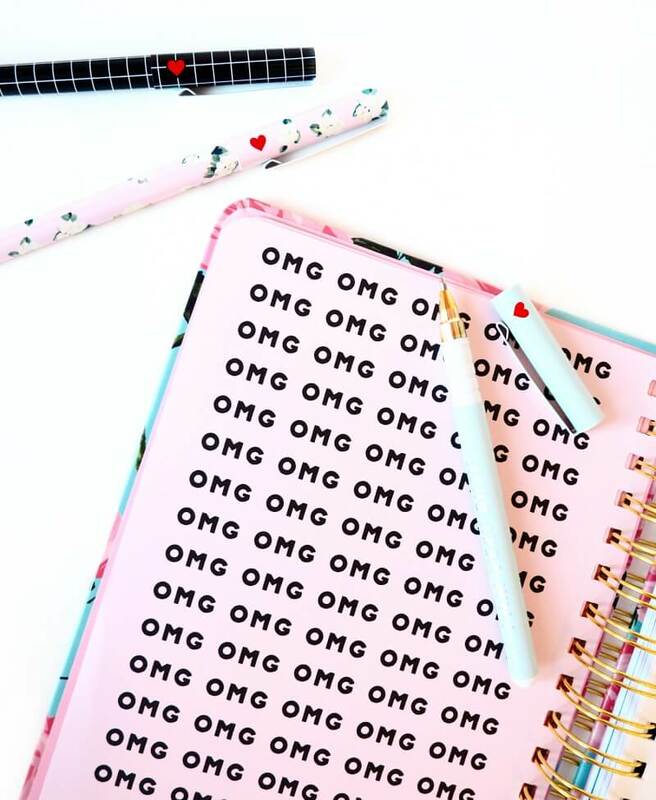 OMG all this stationery looks AMAZING! I need to check their stuff out! woww this looks amazing. Need to order one. This stationary looks so cute. I would have cried if I thought that I lost that many photos. Its good that you got them restored. I would love to see a post about approaching others for contacting brands. I have been wanting to do this recently but don't know how to go about it. This post wants me to get back into crafting and making my journal prettier. Love anything to do with stationery and this stuff looks so cute!! I try to be organised but always run out of time!! I love the look of it. In fact if I bought it I know my girls would love it too. I know exactly what you mean about being organised, its so important but sometimes so hard to keep on top of everything. Oh, I like that Rose Parade 17 month agenda and hope they'll have more of them. I'm bad at organizing too and when comes about blogging I hate to schedule my posts in advance, I like to write about whatever I feel at the time. Congrats on getting yourself a planner. I remember needing to have one as things were going kind of crazy there for a while. Keeping consistent helps. What's In My Holiday Beauty Bag?